Whether you are dressing as a wicked battle wizard, a treacherous knight, or simply love its distinct coloration, the John Blackened Chainmail Hauberk is a must-have addition to any heavy armour costume or medieval themed LARP outfit. 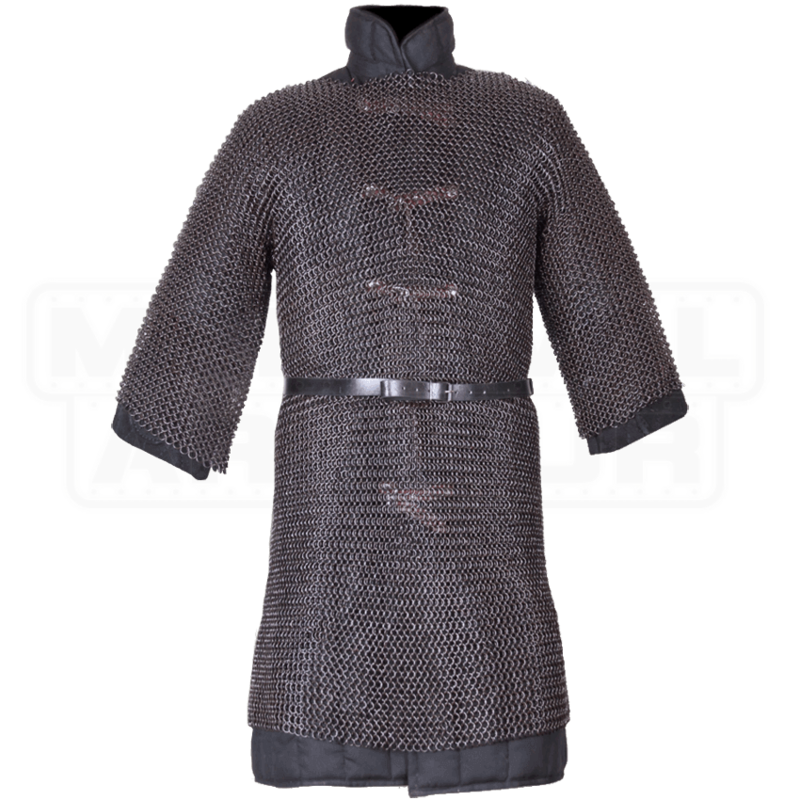 Made of steel rings woven together in a traditional 4-in-1 pattern, this tunic length hauberk features versatile two-thirds length sleeves, and its length reaches to about mid-thigh on most wearers. An acidic treatment grants the chainmail hauberk its coloration as well as guards it from rusting, though occasional oiling is required to keep it in its best condition. Wear it over a padded gambeson, as shown, for best style, comfort, and safety. Cinch the waist with a belt, sold separately, to help distribute the weight of the armour piece. 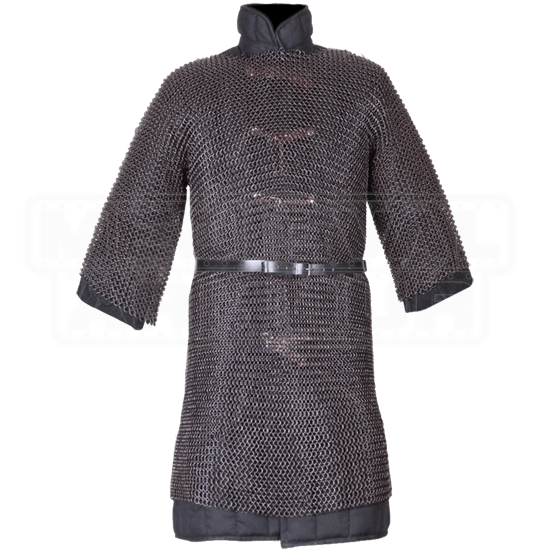 Quite adaptable in its design, this short sleeve hauberk can be combined with leather armour, steel armour, and other chainmail pieces, adding authenticity and interest to quite a variety of characters and styles. Originally, I did not aim to purchase this one and instead purchased one that was out of stock. I was guided to this one as an alternative by a helpful email from one of the staff members. Changing my order was very easy! I have to say, I am glad I switched because this piece is fantastic. It is beautiful and feels wonderful. Only commentary I have to add is that I forgot chainmail is oiled so don't try plopping it down on your bed lest you ruin your sheets! Also the head opening was a little tiny for me but that might be because I have a large head. Otherwise, this product is absolutely perfect.